Chartered Engineer and also a Chartered Manager with over 25 years worldwide experience in engineering, planning and management. Gavin is the Managing Director of IMC Worldwide a multi-disciplinary business providing consultancy services to governments, donor organisations, disaster relief agencies and private sector corporations in developing and transitional countries. Gavin has over thirty years’ worldwide experience in engineering, planning and management. He has a passion for international development, in particular in urban and rural development, transport infrastructure, governance and organisational change, and disaster response and reconstruction. Throughout his career Gavin has had consultancy, management and project director roles on major consultancy projects worldwide. After graduating from Manchester University in 1982 he joined Cumbria County Council where he trained as a Graduate Engineer. In the early 90’s he began his international career initially working on the design of major infrastructure projects in Hong Kong, Brunei and China and then on technical assistance and institutional development projects in the poorest countries in sub Saharan Africa and Asia. 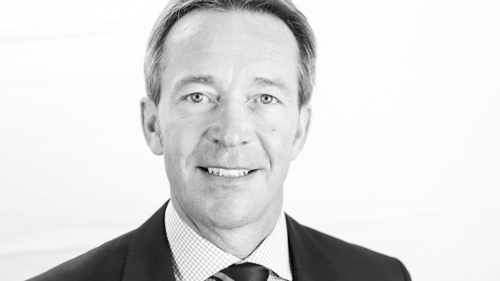 Gavin has been the Managing Director of IMC Worldwide since 2001 and led the management buy-out of this business from WSP Group plc in June 2011. In July 2015 he successfully led the purchase of the shareholding of the private equity partner via a secondary buy-out to create a totally independent business. Gavin is a first Vice Chair and a Board Director of the Association for Consultancy and Engineering (ACE), London and the current Chairman of the ACE International Business Group where he advises on the issues and challenges facing the engineering industry working in international markets. Gavin also represents IMC Worldwide at the UK Anti-corruption forum and sits on a number of their working groups. In November 2015 Gavin was awarded the European CEO Sterling Award in the ACE European CEO of the year Awards and in 2013 he was awarded the Chartered Manager of the year 2013 for Outstanding Leadership in the Chartered Management Institute’s National Management and Leadership Awards.